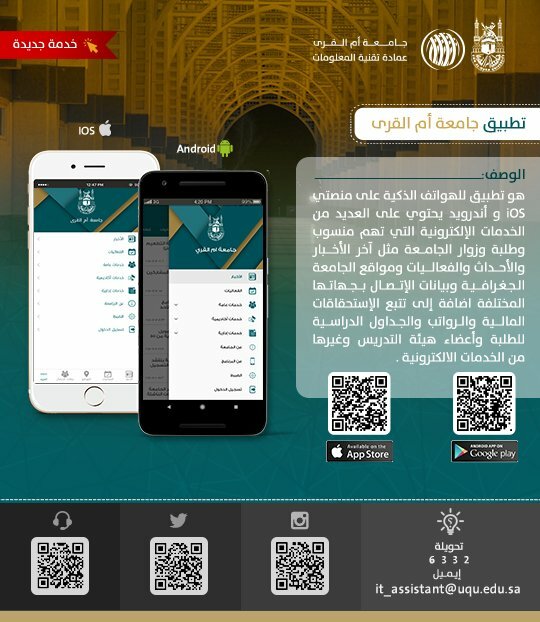 The UQU App for Smartphones is an application that displays the most important information about the university and allows rapid communication and access to the university’s news and events. It also allows immediate access to the university’s latest news through activating the notifications service. In addition, the application allows the university staff, employees, and students to access the e-portal and enjoy the electronic services.